This series helps you master the clinical reasoning concepts that you'll need to diagnose and treat various conditions you might see on the wards (and impress your attendings with your clinical knowledge). This series is rapidly growing and will be complete by summer 2019. Osmosis’s team of current and future clinicians share their tips on how to succeed in the health field as a student and as a full-fledged professional. Strengthen your understanding with over 3,500 Osmosis case questions for USMLE® Step 2. Each Osmosis question comes with a detailed answer explanation that is carefully written and reviewed by health professionals, who have in-depth knowledge of how you’re expected to think for the boards. 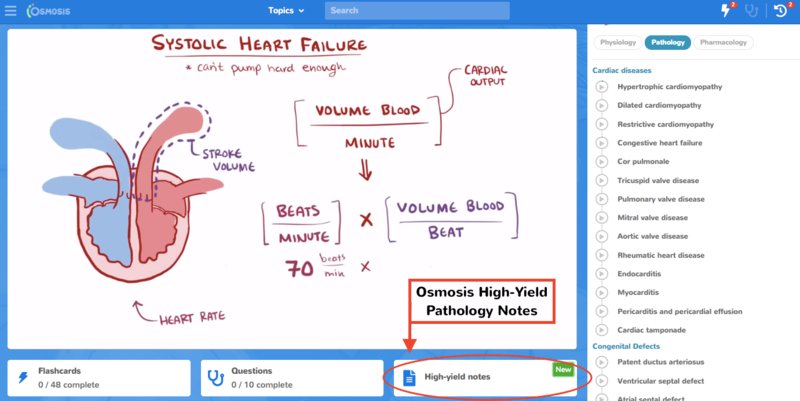 Osmosis High-Yield Pathology Notes covers almost 1,000 topics with concise descriptions, full-color images and tables, and extra-wide margins for notes. 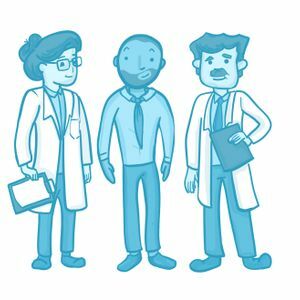 Each condition is clearly separated into pathology, symptoms, diagnosis, and treatment sections, so you can quickly identify exactly what you need to remember. Our table of contents even outlines which pathologies you’ll encounter (and which you won’t!) on the USMLE®, NCLEX-RN®, PANCE®, and COMLEX-USA® exams. USMLE® is a joint program of the Federation of State Medical Boards (FSMB) and the National Board of Medical Examiners (NBME). COMLEX-USA® is a registered trademark of The National Board of Osteopathic Medical Examiners, Inc. NCLEX-RN® is a registered trademark of the National Council of State Boards of Nursing, Inc. PANCE© is registered trademarks of the National Commission on Certification of Physician Assistants. Test names and other trademarks are the property of the respective trademark holders. None of the trademark holders are endorsed by nor affiliated with Osmosis or this website.